The Legislature and Governor of the state of Washington recently passed a law warning us about the dangers of..
Anthrax on postage stamps? Guess again. Global warming? West Nile Fever? AIDS? Nope. Actually, Washington state has always been afraid of too much bingo. Until this year, most bingo operators were prohibited from even offering the game more than three times a week. Washington lawmakers have been faced with the problem of the level playing field before. Licensed card rooms in the state could offer blackjack to their patrons, but only with a rotating deal. The house was not allowed to participate in the game, let alone be the banker. Meanwhile the tribes in the state had full-scale casinos (although without slot machines), with regular Nevada-style blackjack. Four years ago, the clubs demanded that the state legislature do something -- and it did. It changed the law, so that licensed card clubs could offer blackjack with a house bank -- the same casino game being dealt by tribal casinos. Now, the Legislature was faced with the question of why tribes should be able to offer bingo all the time, while charities were limited to no more than three times a week. The easy solution would have been to simply allow charities to offer bingo games whenever they wished. But with legal gambling, changing the laws never comes easy. But Washington's card clubs are in the center of many of its cities. Almost overnight, mini-casinos were available in a lot of people's backyards. It was clear that the state's charities would have to be allowed to offer bingo games more often if they were going to survive. But, legislators needed a way to show that they understood that they were, once again, voting to expand legal gambling. If a warning is needed, why not require it on all bingo ads? It is not the operators of frequent games who are in danger of becoming compulsive gamblers; it is the players. Still, in its own, slightly bizarre way, the law makes sense. Although you don't often hear about compulsive gamblers playing bingo, anyone reading this column undoubtedly knows of someone who is, in fact, addicted to bingo. And bingo addicts do not go to low-stakes, once-a-week church basement games, unless it is the only game in town. The 16-hour a day games are the greatest danger to bingo players' financial and physical health. Bingo players may also want to point to this new law with something close to pride. After all, they have finally made it. Warnings have been required on cigarette packs for forty years. In 1976 New Jersey began allowing casinos to open in Atlantic City, but only if they posted warnings and 800- help numbers. Even prepared food packages have to let customers know if they contain products which might create allergic reactions. Bingo players - If your non-playing friends laugh when you say you are going out again tonight, remember, while they will be sitting in the safety of their living rooms, watching TV, you have the courage to face this threat alone, with nothing but a bingo dauber and a good-luck charm. Atlantic City Casinos Get Approval for Public Beach Bars - ATLANTIC CITY, NJ - Pump the kegs and stock the bars: The casino action is headed for the sand this summer. In separate votes on May 9, the Casino Control Commission unanimously gave final approval for Atlantic City Hilton, Caesars and Trump Plaza to operate public beach bars for the first time. The Caesars Sand Box and the Beach Bar at the Hilton Casino open for business on weekends beginning May 17 and daily beginning June 21. They'll be open until 10 p.m. The Beach Bar at Trump Plaza will open May 22. It petitioned the city to stay open until 2 a.m., but it agreed to stop serving alcohol at midnight and close by 1 p.m. All bars will serve regular beach goers and comped casino guests alike. They plan to offer live entertainment, dancing and limited food service. Ontario Lottery Declares July `Millionaires Month - TORONTO, CANADA - The Ontario Lottery and Gaming Corporation declared on May 5th this coming July as "Millionaires Month" as it launched the new $10-dollar Millionaires Month lottery game offering a draw each day for major cash prizes for all 31 days of July. There will be 27 individual draws for prizes of $100,000 each, three weekly draws for $1-million each and the final Grand Prize draw on July 31st for $5-million. There is also an instant scratch portion on the ticket offering an additional top prize of $1-million plus thousands of other prizes. A Millionaires Month ticket gives more chances to win millions in cash and the most game play on one ticket in Ontario lottery history. Winning numbers will be drawn each evening in July. "This game has tremendous play value with 31 consecutive days of draws plus an instant scratch for one million dollars," says Ron D. Barbaro, Chair and CEO, Ontario Lottery and Gaming Corporation. "We are always looking at innovative ways to entertain our lottery customers in Ontario and Millionaires Month is truly unique." Each ticket is sold in a pouch and unfolds to a calendar format 55cm. x 22cm., with a scratch spot for each day of the month, plus the instant scratch and win spots on the opening panel. 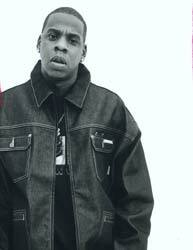 Jay-Z will perform at the Rain at The Palms Resort Casino on June 8, 2003. May not include all taxes & fees.